News digest about copyright, DRM, patents, piracy etc. "Commercial Piracy is one thing (and copy-protection won't stop it), but buying a CD only to find it won't play on your PC is just such a piss-off, it's enough to drive you to P2P downloading." 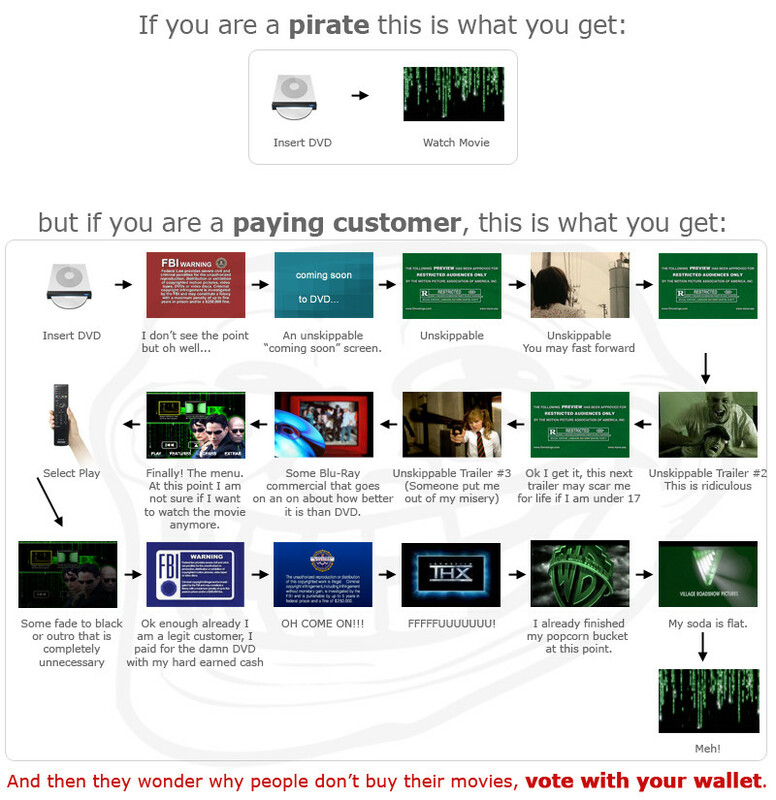 The Long Tail: "Just enough piracy"
Versiontwo: "Don't Copy That Floppy, Part 1"